Arsenal legend Thierry Henry is reportedly set to be named the new Aston Villa manager, with John Terry leaving a current role at Chelsea to join as his assistant. That’s the bold claim from a report in the Daily Mail, with Henry and Terry looking an exciting potential dream team combination at Villa Park after Steve Bruce’s sacking. 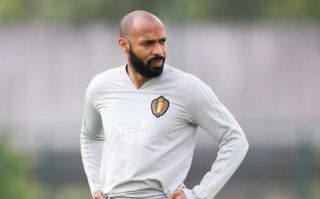 Henry has moved into both punditry and coaching since hanging up his boots as a player, and he got some good experience working alongside Roberto Martinez as part of the coaching set-up with the Belgium national team. The Frenchman, formerly one of the finest forward players on the planet at his peak, could now take up the challenge of reviving a struggling Villa side and getting them out of the Championship, back to the Premier League where they’ll feel they belong. Terry would be an interesting choice as his no.2, with the former England defender playing for Villa last season and also being linked with the top job with the Midlands club, according to the Mail. However, he looks set to work under Henry instead, with fans of Arsenal and Chelsea surely hoping both do well and potentially become contenders to manage their clubs in the future after legendary playing careers in north and west London, respectively. Terry has indeed already been working with the Blues at youth level, but it seems he’s set to move on quickly for an exciting challenge alongside Henry.